The United States Passport (Past, Present, Future) is full of facts about the American passport. The book was issued by the Passport Office – Department of State in 1976. Even the book was published 37 years ago the data you will find there are most valuable for passport collectors. Of course, such a department has access to all statistics and history which makes this book a “Bible” on the American passport. 227 pages, twelve chapters plus glossary and index will give you everything about the United States Passport. A truly comprehensive work which also displays 111 pictures of documents. In chapter three you will learn that the format of the passport book was never defined by U.S. law or regulation. However, chapter nine lists different types. 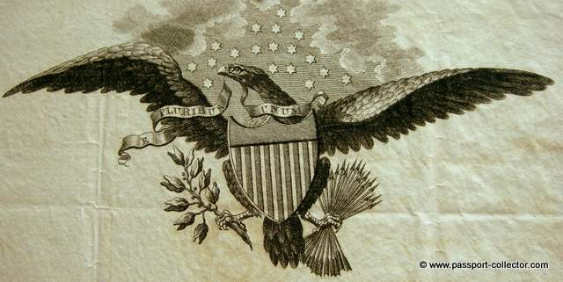 The last one was the Bicentennial passport – in honor of the United States 200th anniversary and was introduced on January 1, 1976. These “special edition” was issued only during the year 1976 and was valid for a 5 years period. Looking into the Passport Office statistics 2.8 Million passports of the Bicentennial were issued. You can define by yourself is this makes a rare passport. Chapter twelve is listing milestones in the history of the US passport which gives a good overview of the numerous changes. A learning curve on geography, history, and administration is also to find on page forty-one where the “Insular Possessions” are described. Did you remember that the Virgin Islands were purchased from Denmark in 1917? 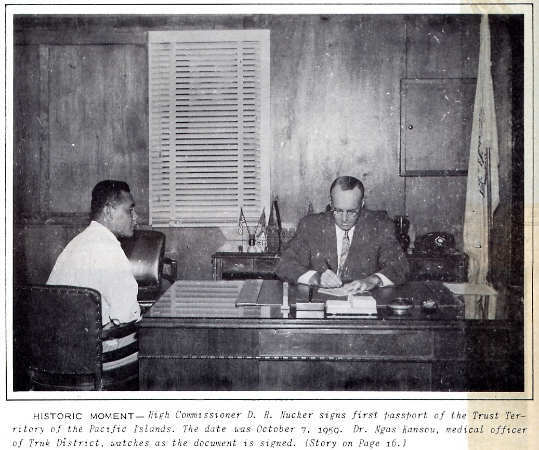 Did you heard about the “Trust Territory of the Pacific Islands”? They issued also official passports from 1959 for only a short period (see picture). Signatures on passports: Even they look like original signed Secretary of State signatures were printed from 1861 on! Only in special cases, the signature is original handwritten. These are only a few facts you can find in the book but there is much more to discover. Well, if you collect US passports or not this book is a sold source on US passport history and a MUST for all US passport collectors. I wish other countries did similar great publishing on their passports. The book can be purchased online at all known book websites. Second-hand copies are quite inexpensive. I also have an American bi-centennial passport issued in my name when I eas a teenager. Good condition.How much is it worth? Just by pure coincidence, I was issued a United States Bicentennial passport in order to live with my father in the Philippines. I still have it, in excellent shape, with only stamps from the Philippines and Japan. Years ago, I remember reading an article that talked about the future value of these passports. I’m nobody famous, but is the passport worth anything? Thanks. Private message sent. Best regards, Tom.